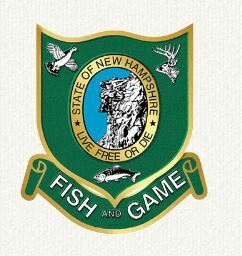 A 19-year-old Rhode Island man who was unprepared for winter conditions had to be helped out of The White Mountains on Sunday, according to New Hampshire Fish and Game. The man was part of a party of four hikers clothed in jeans, sneakers and “light outerwear,” according to Conservation officer Sgt. Thomas Dakai. “Nobody in his party brought any food, water, or any extra clothing or gear other than what they were wearing,” Dakai said. Dakai told InDepthNH.org he would recommend they be charged for the cost of the rescue. The man, Hector L. Rodriguez, from Woonsocket, and his three friends were on the Mount Pemigewasset Trail when he told his companions that he couldn’t continue, said Conservation officer Sgt. Thomas Dakai. Several other hikers stopped to help and about 3 p.m. one of them called 911. Rodriquez was able to walk for a while, but ultimately had to be carried by Fish and Game officers and other hikers. He refused to go to the hospital.